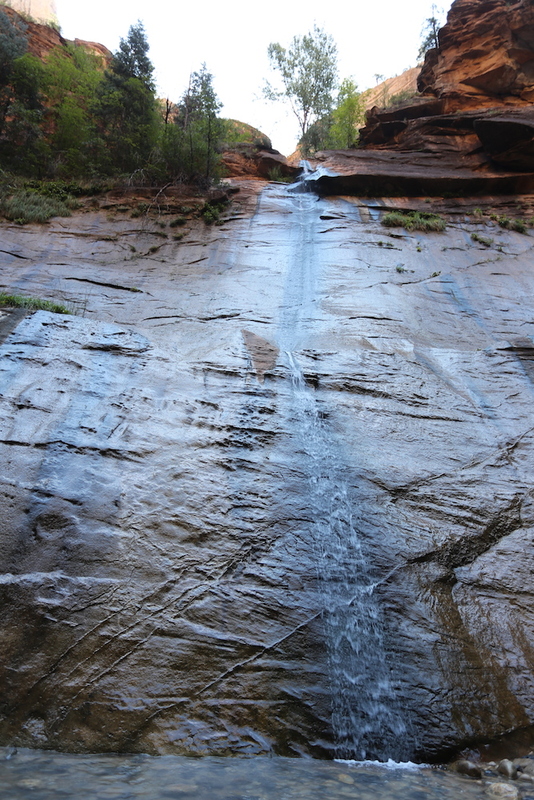 Today was wet. 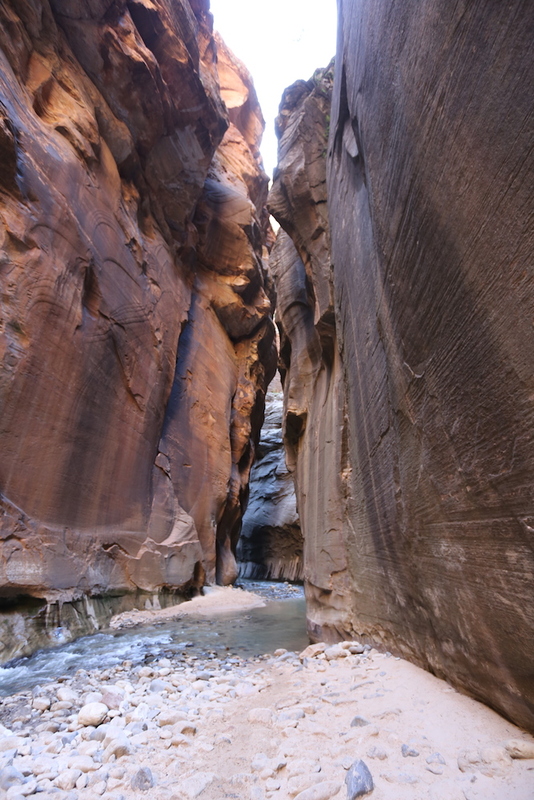 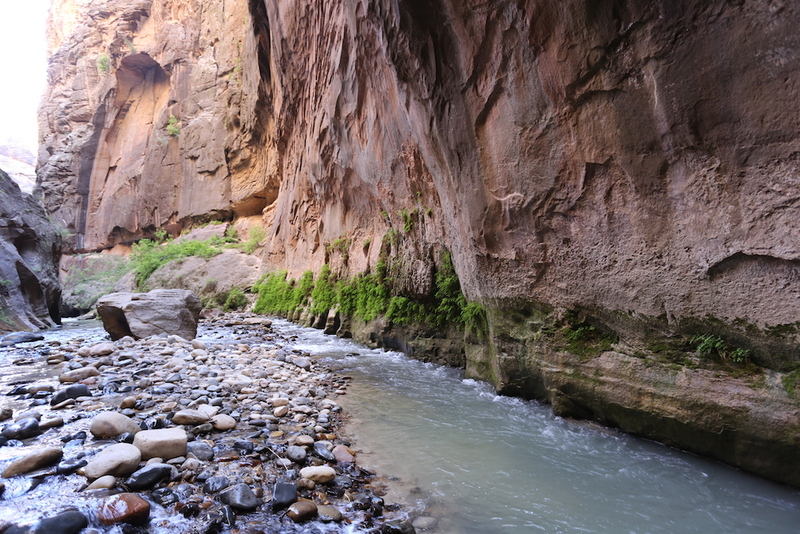 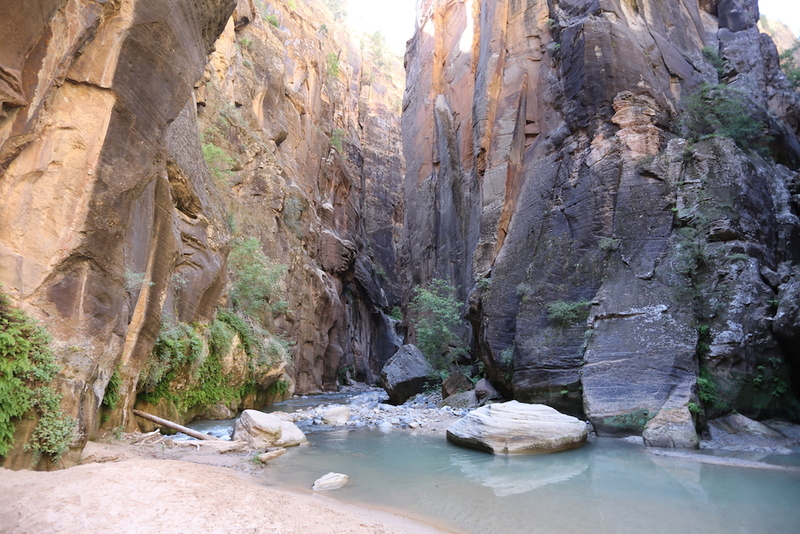 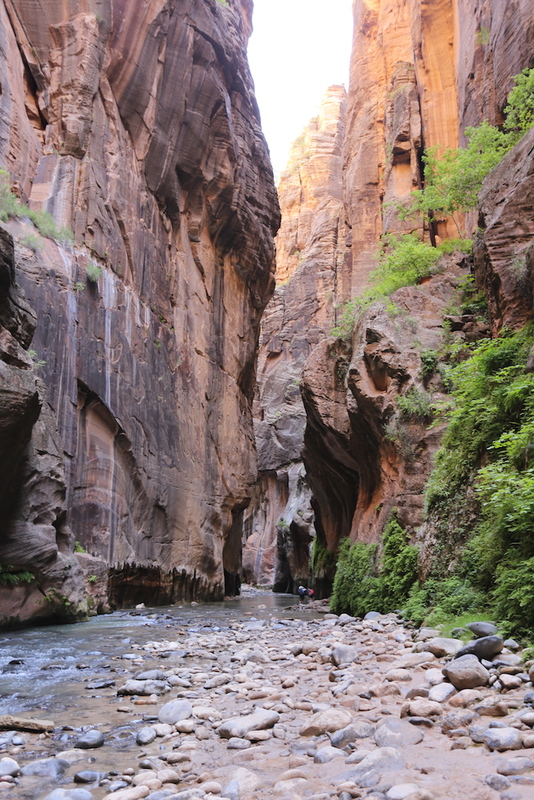 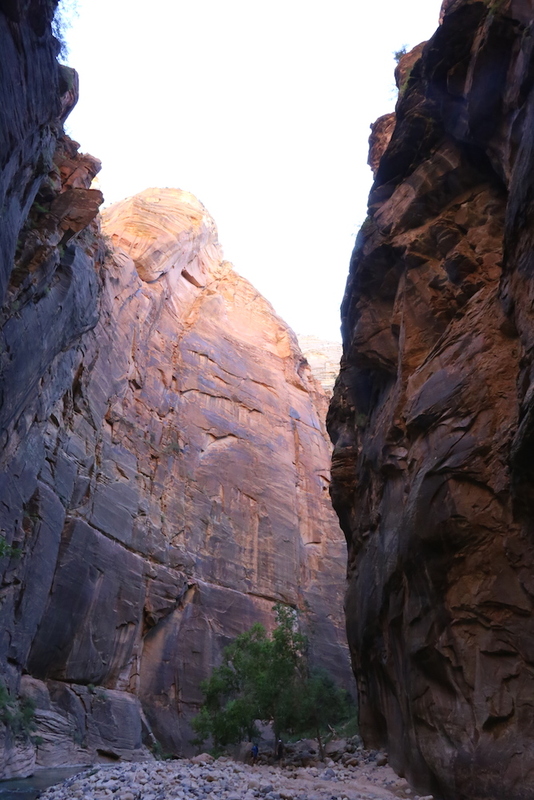 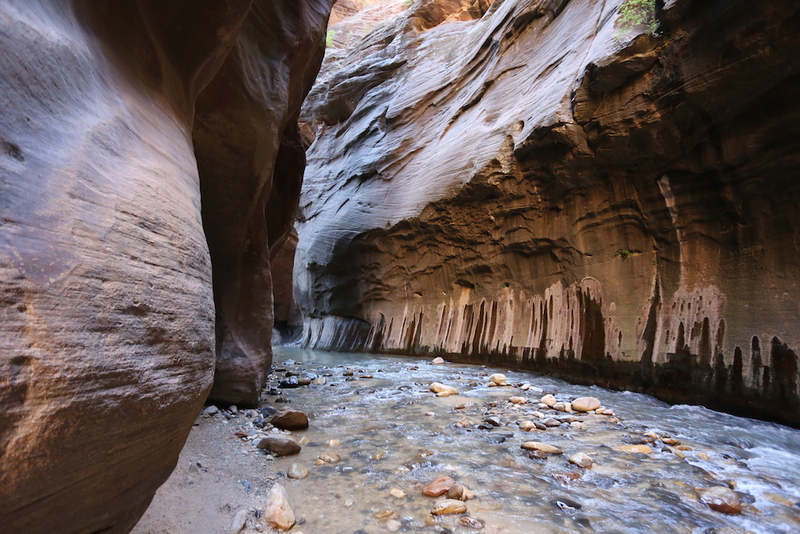 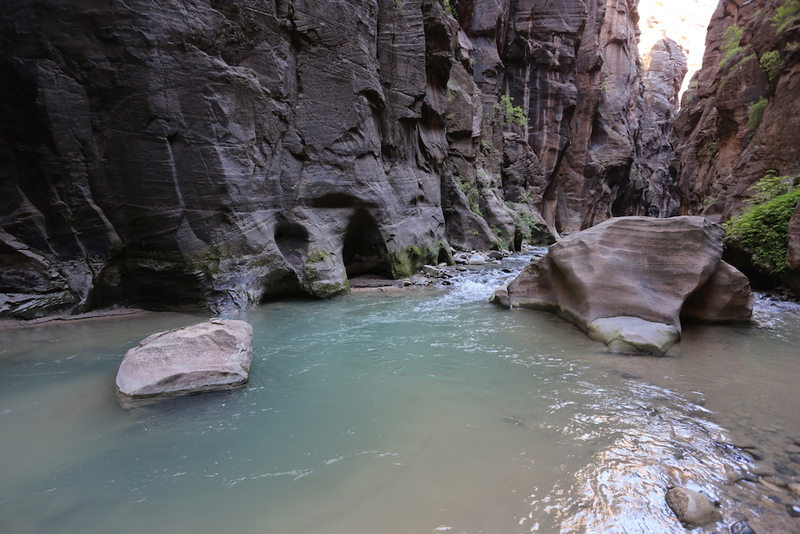 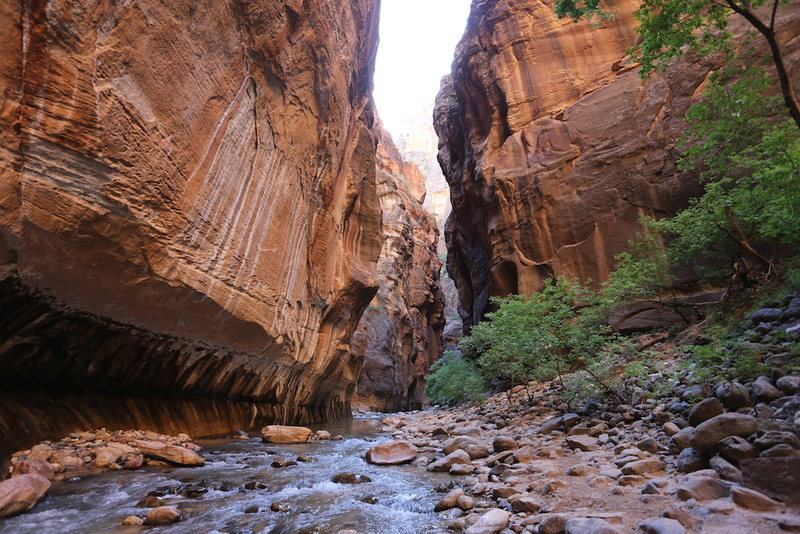 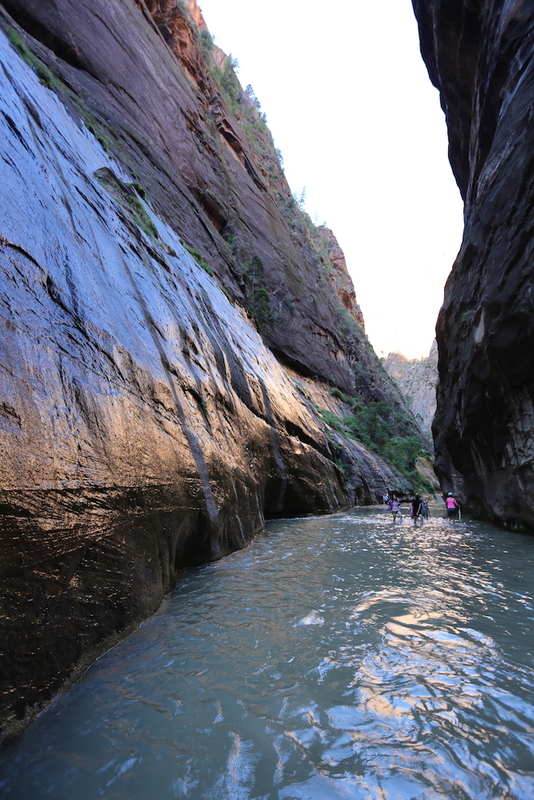 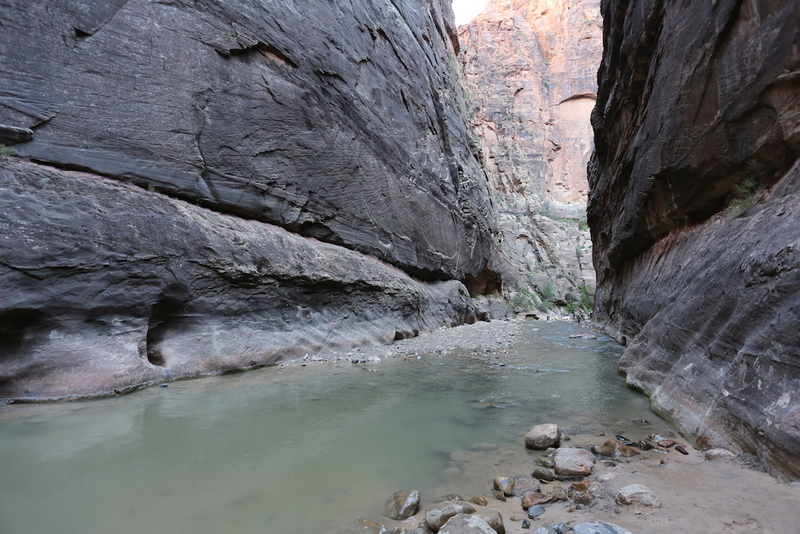 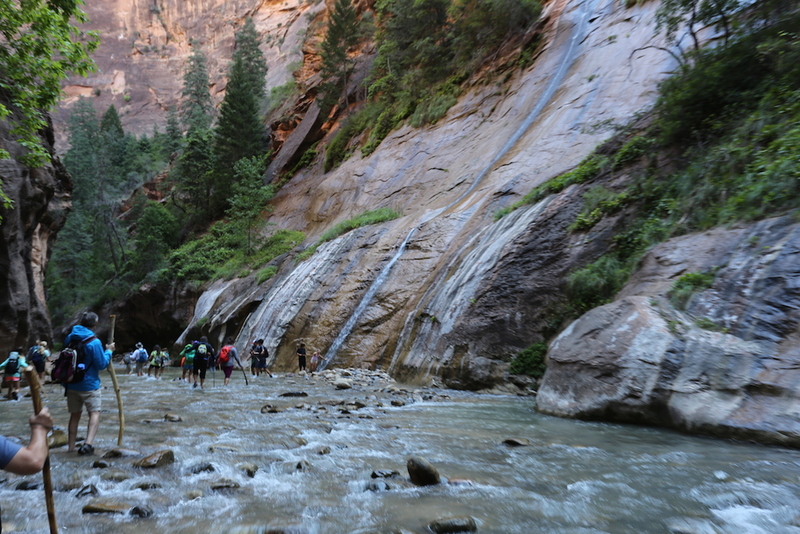 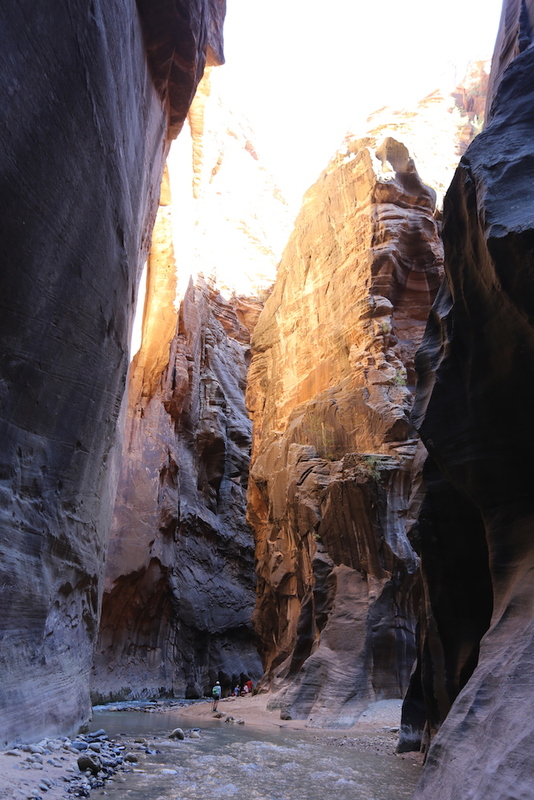 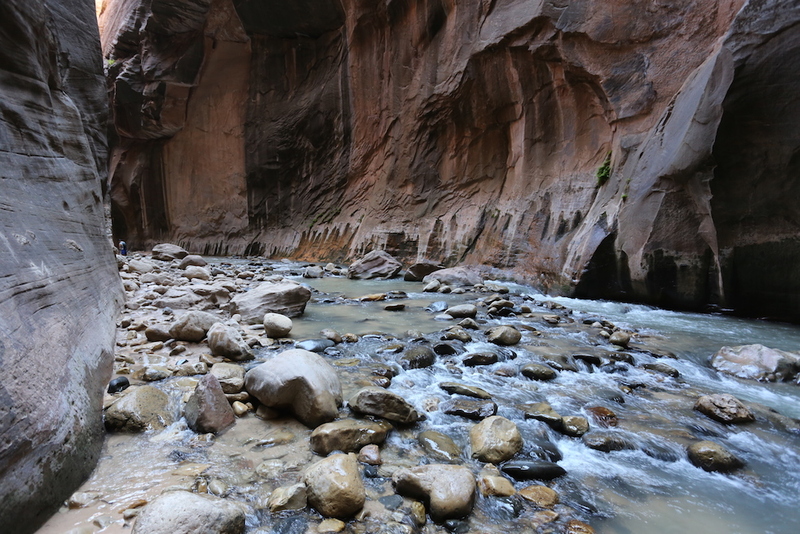 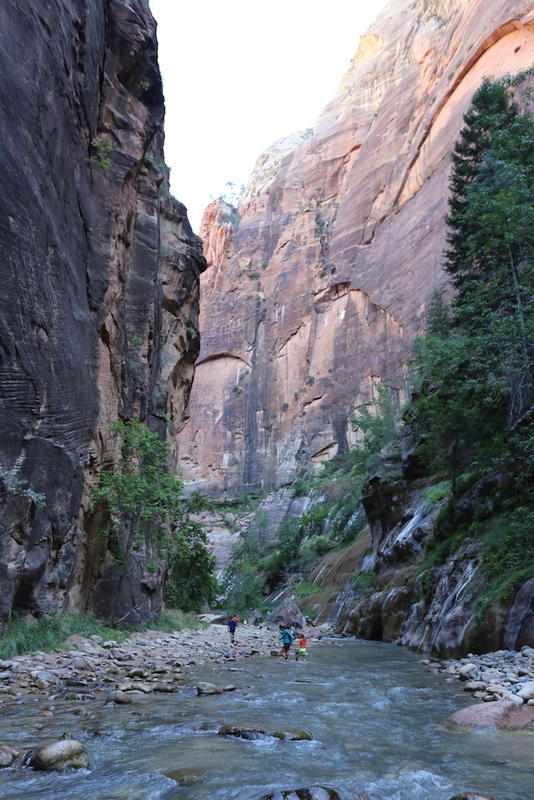 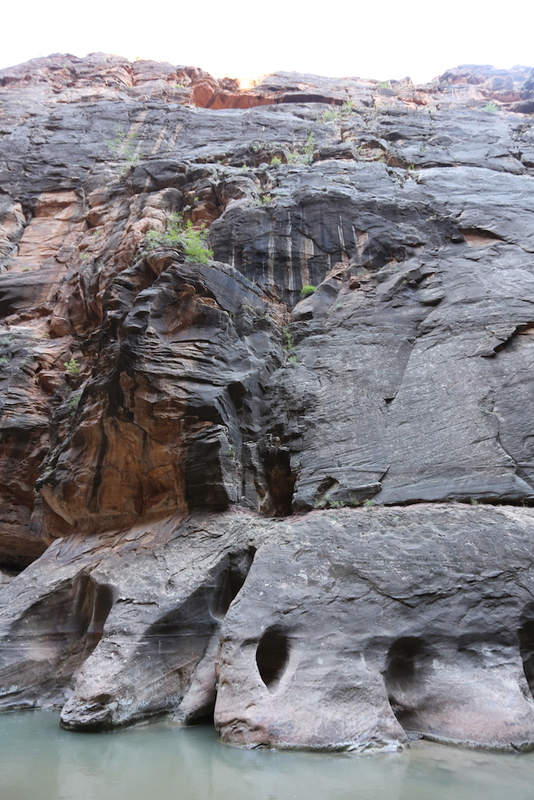 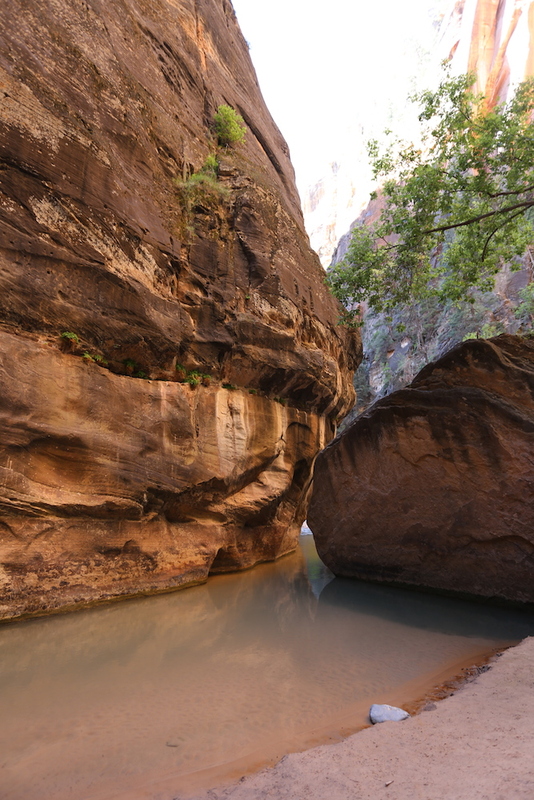 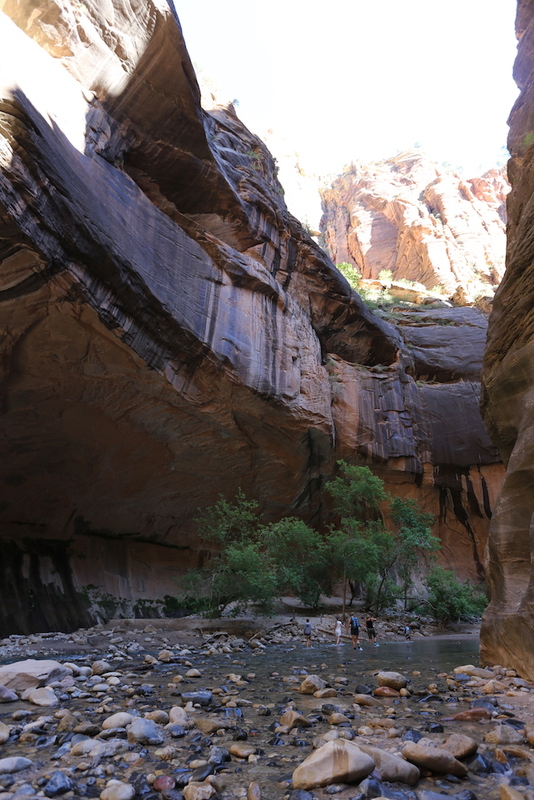 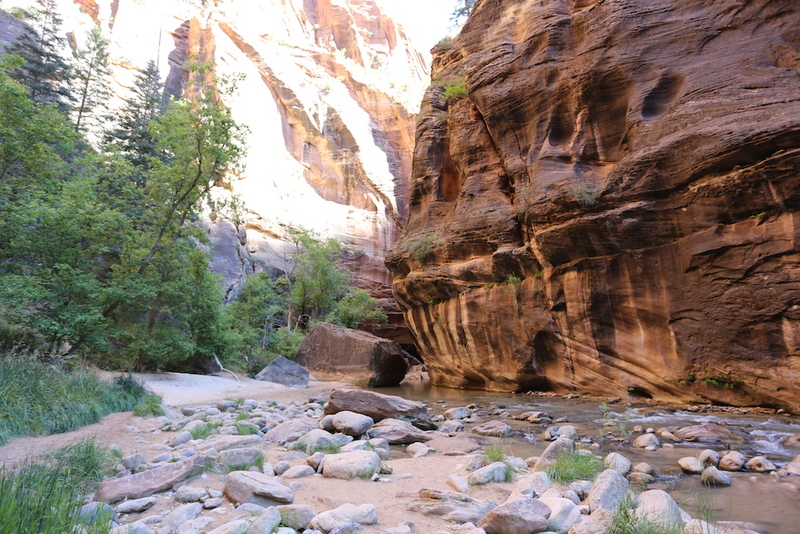 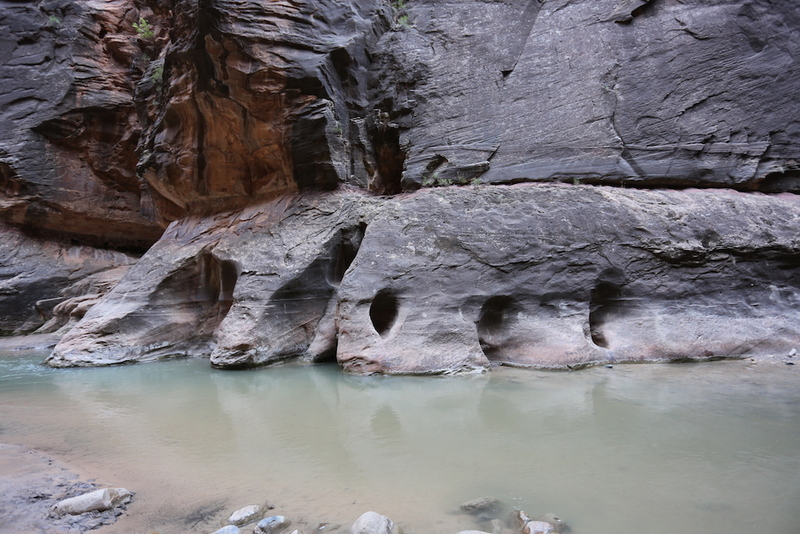 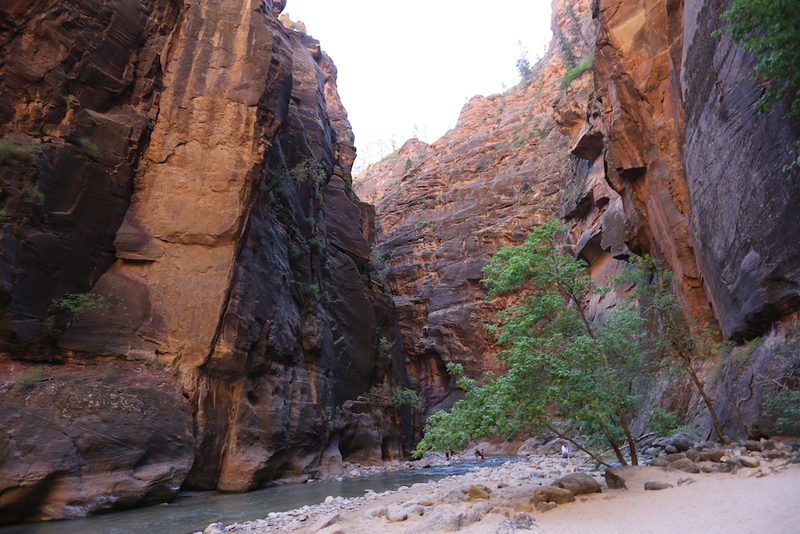 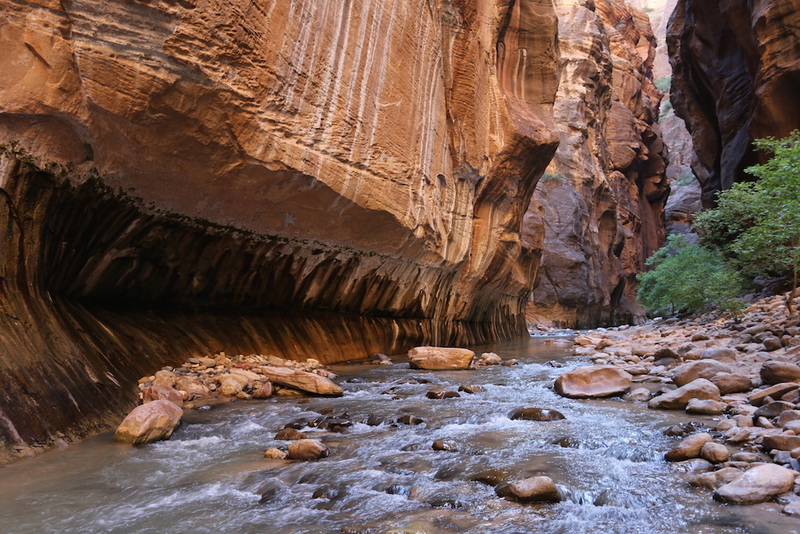 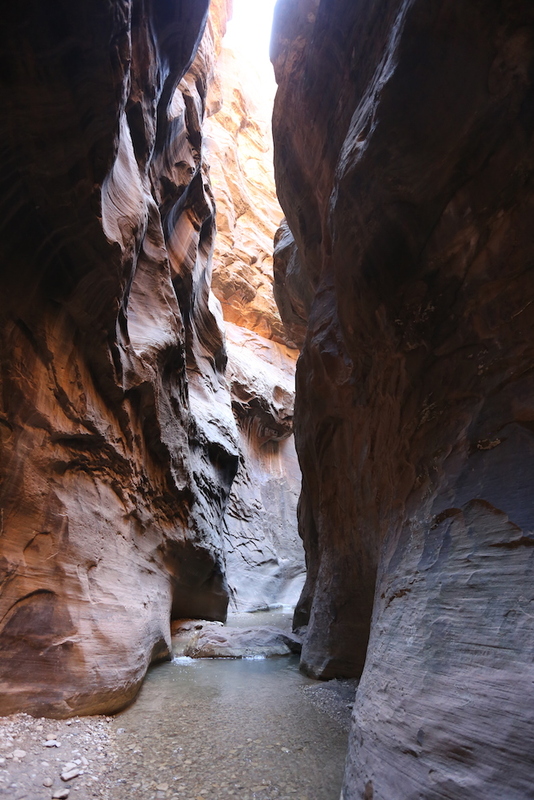 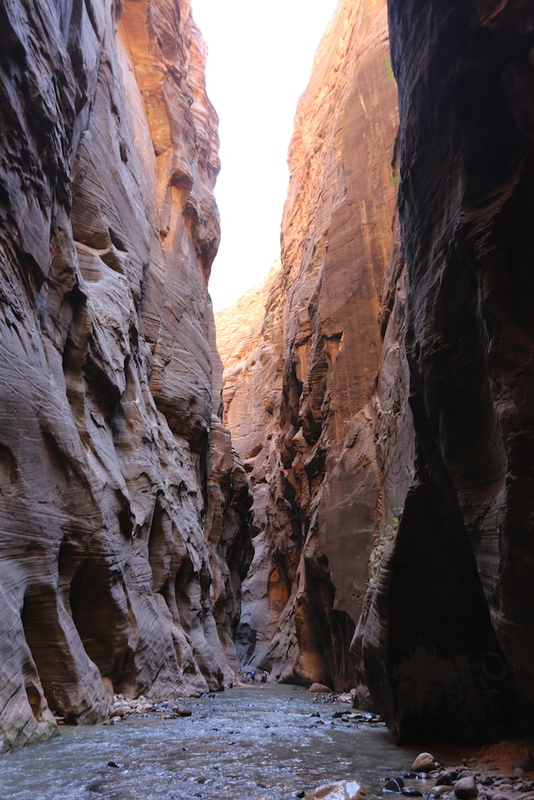 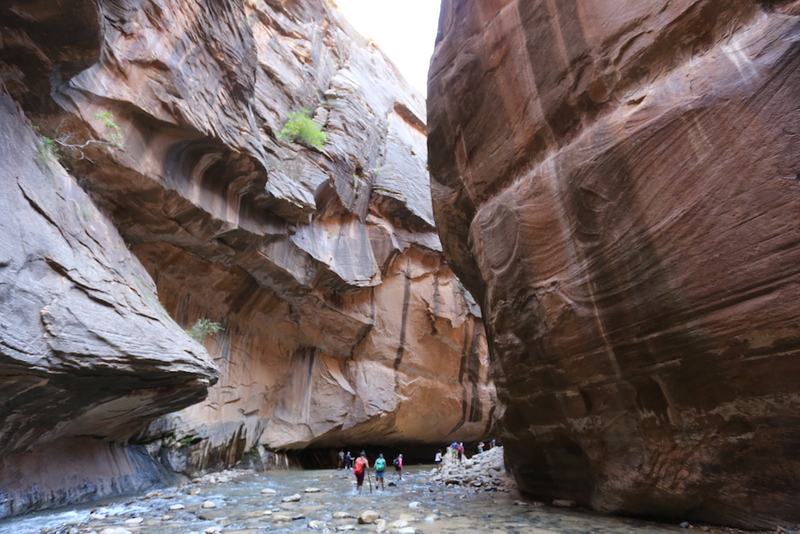 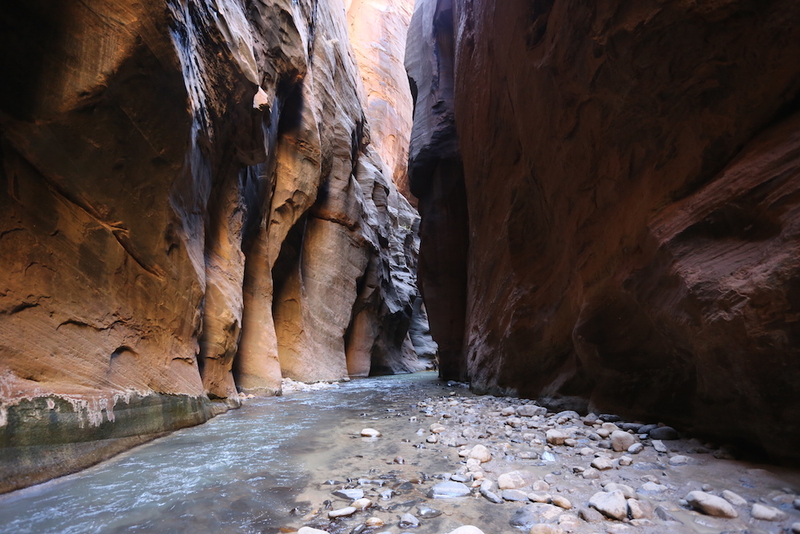 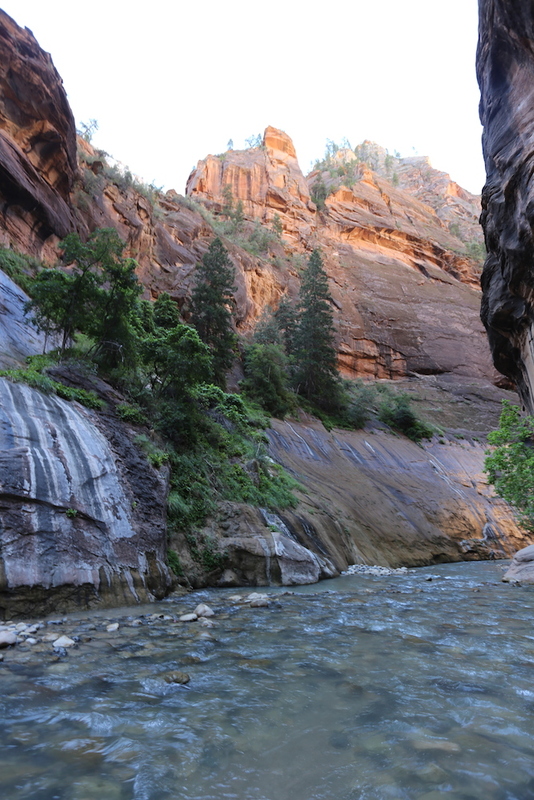 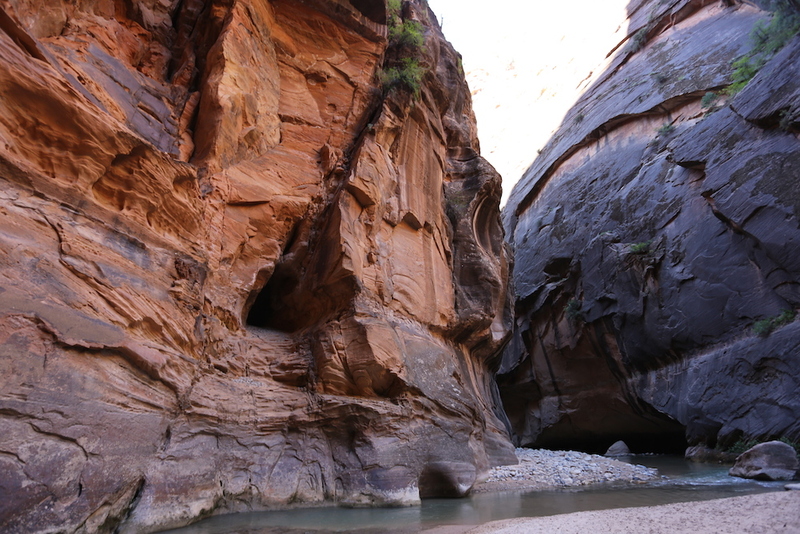 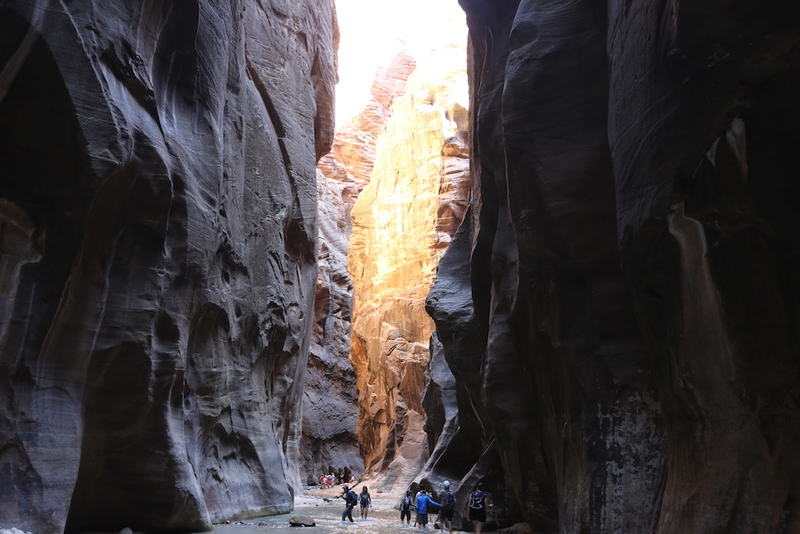 I spent the majority of the day walking through the Virgin River in the Zion Narrows. 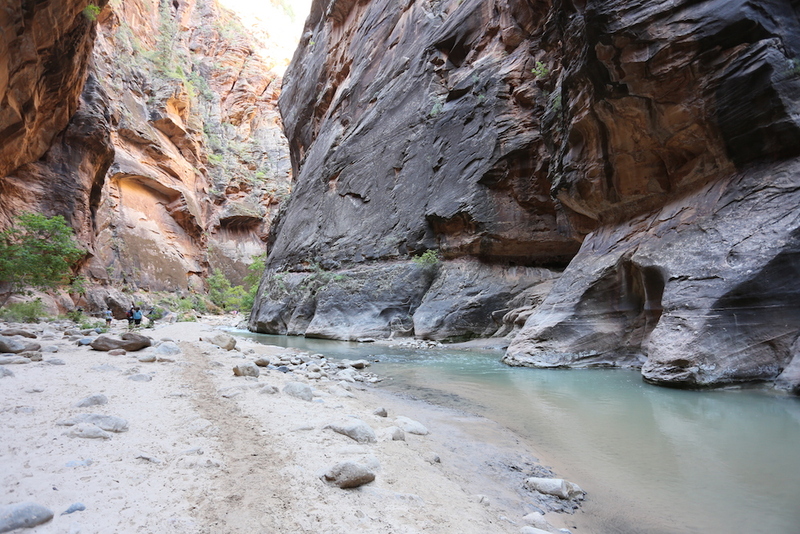 It’s a 10 mile “hike” down the river, round-trip. 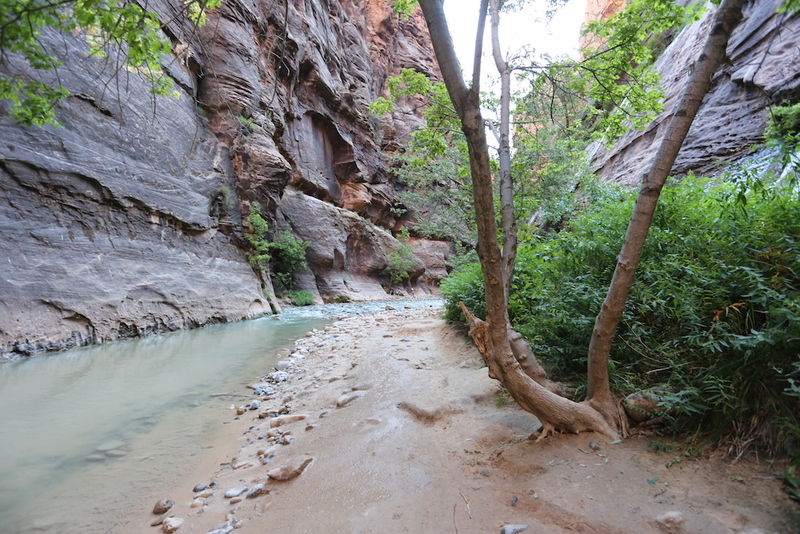 To get to the hike, there’s another two mile, round-trip, walk along the river you have to do. 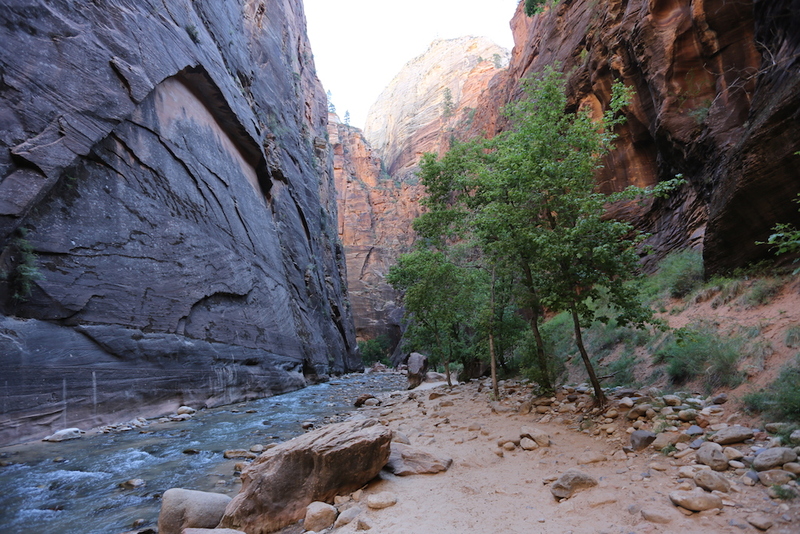 I’m honestly not sure how far I went, but I’m confident I made it close to the very end. 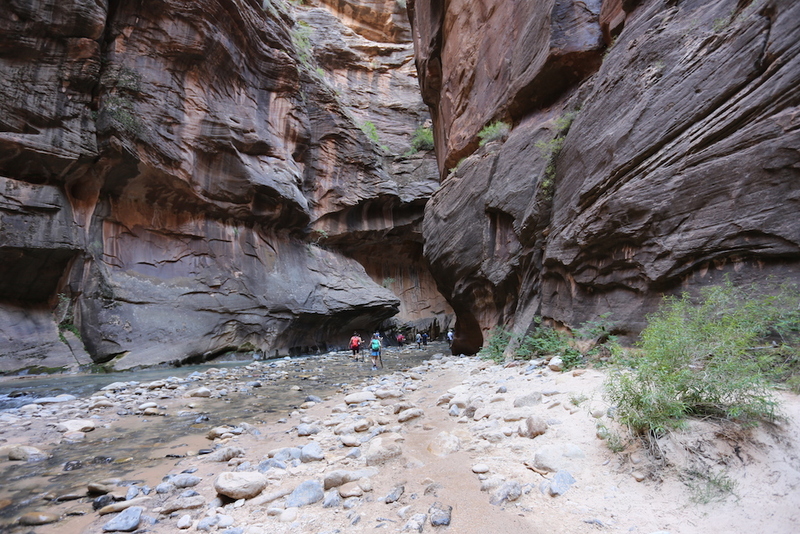 It’s a very busy hike, in the beginning, and I hiked until I was alone. 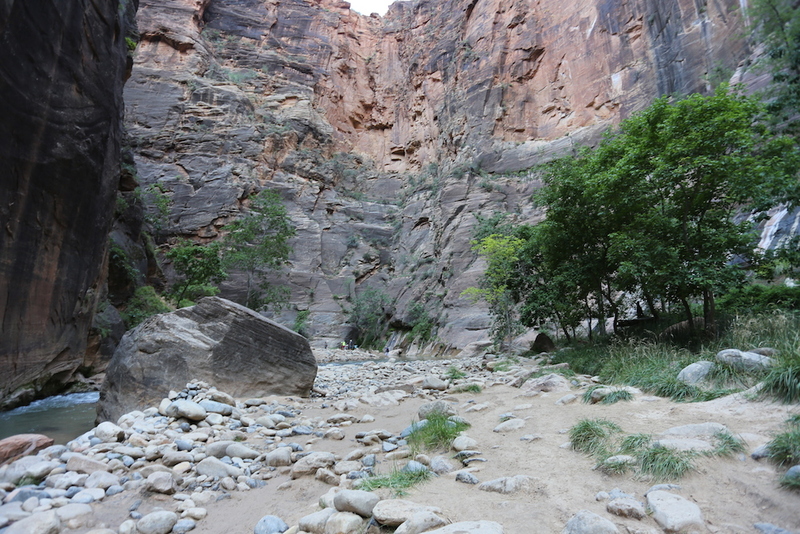 Then I kept hiking. 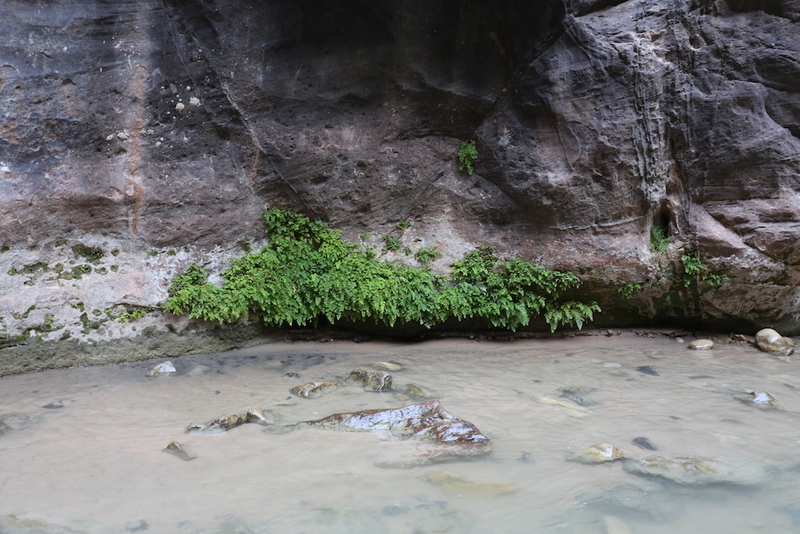 I spent five and a half hours hiking in the water, only stopping for brief moments to take pictures and enjoy the scenery. 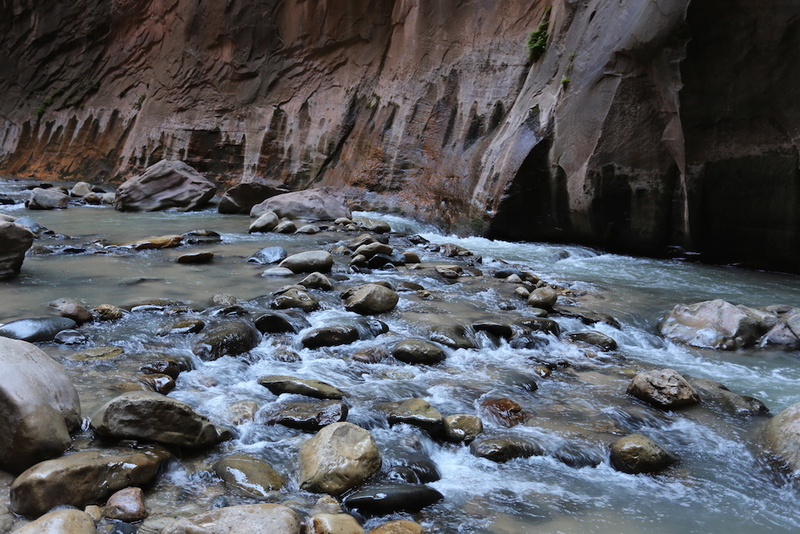 The water is fairly shallow for most of the way and averages at most two feet high. 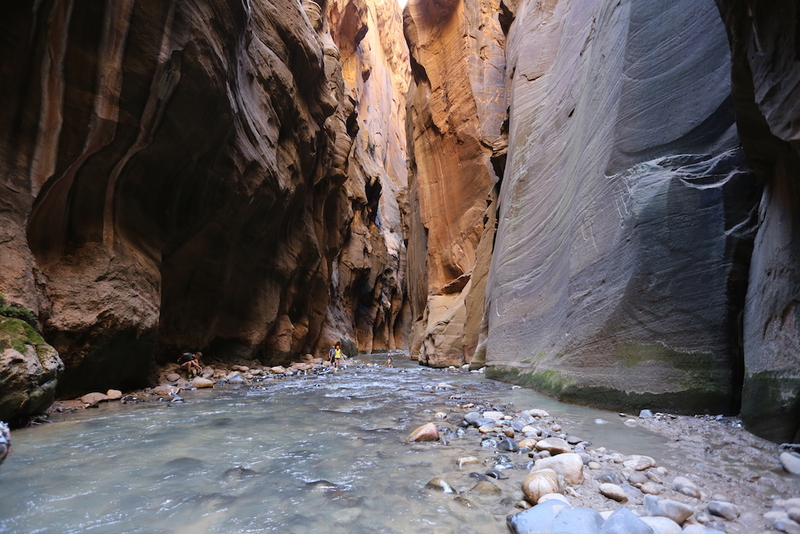 The deepest section came up to my belly button, which is probably around 40″ or so. 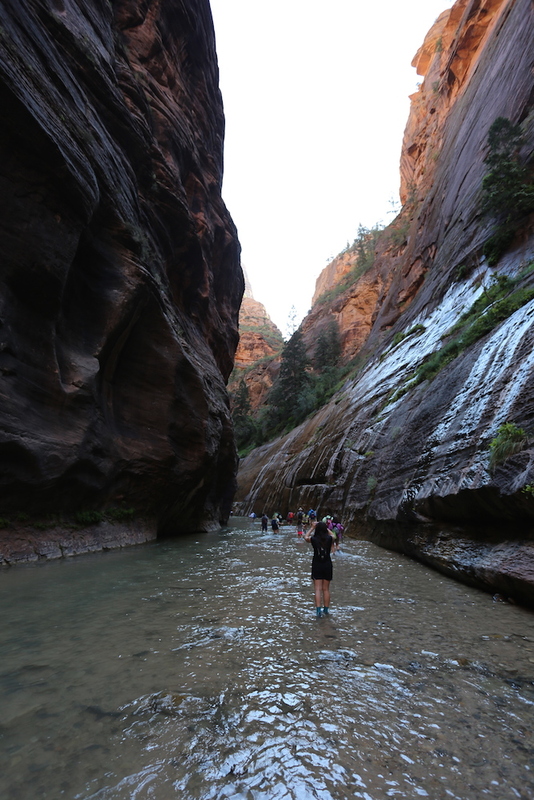 I walked pretty slow through that section as the water increasingly got higher and the coldness crept up my body. 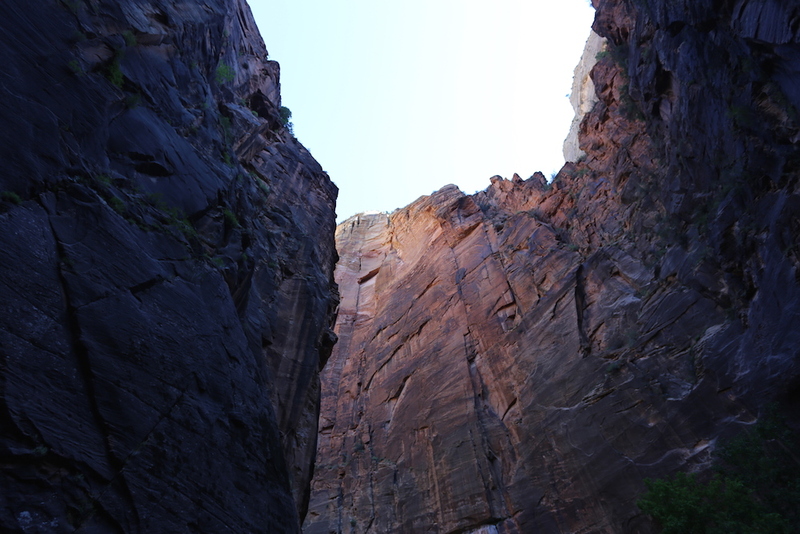 I don’t feel like writing a lot today. 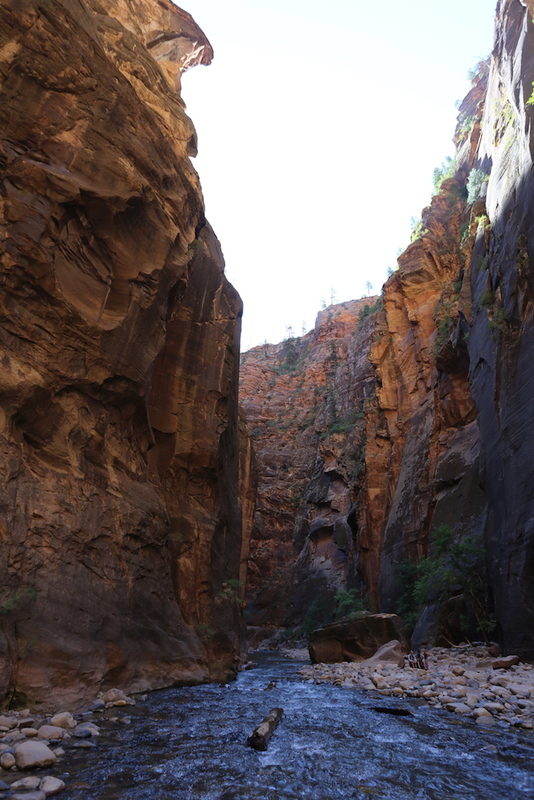 Instead, here’s 40 pictures for your enjoyment.